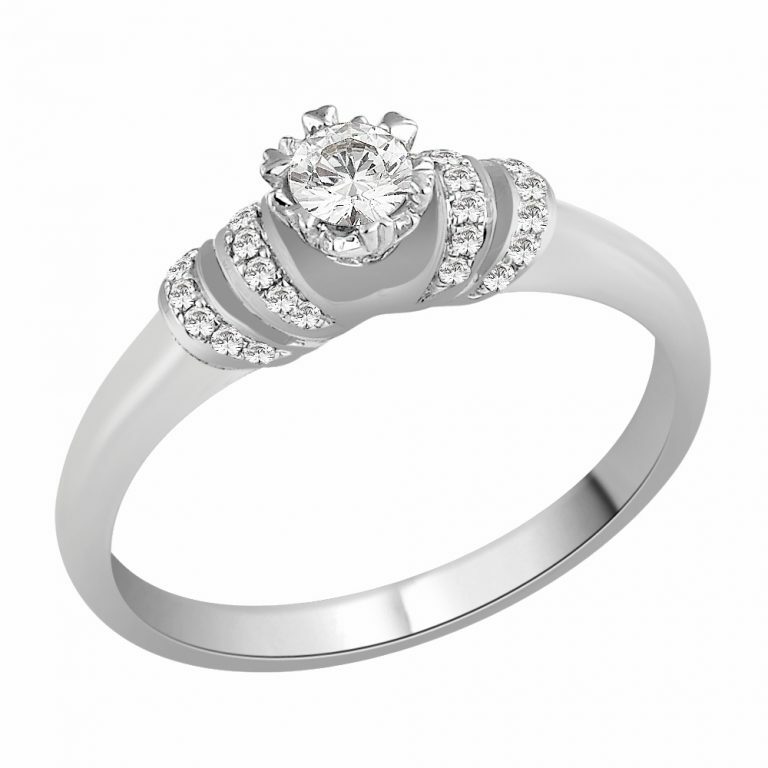 Beautiful Diamond Scarf Style engagement ring. 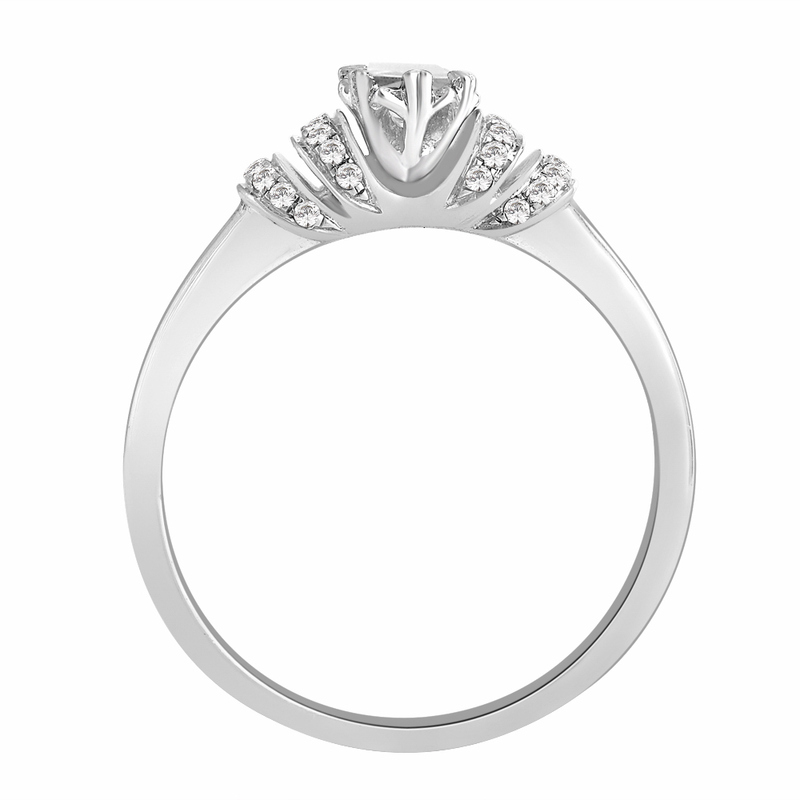 Set with a 0.17ct round brilliant cut diamond in the centre and 0.11ct of smaller round brilliant cut diamonds set into a scarf round the shoulders of the ring. Total diamond weight 0.28ct. 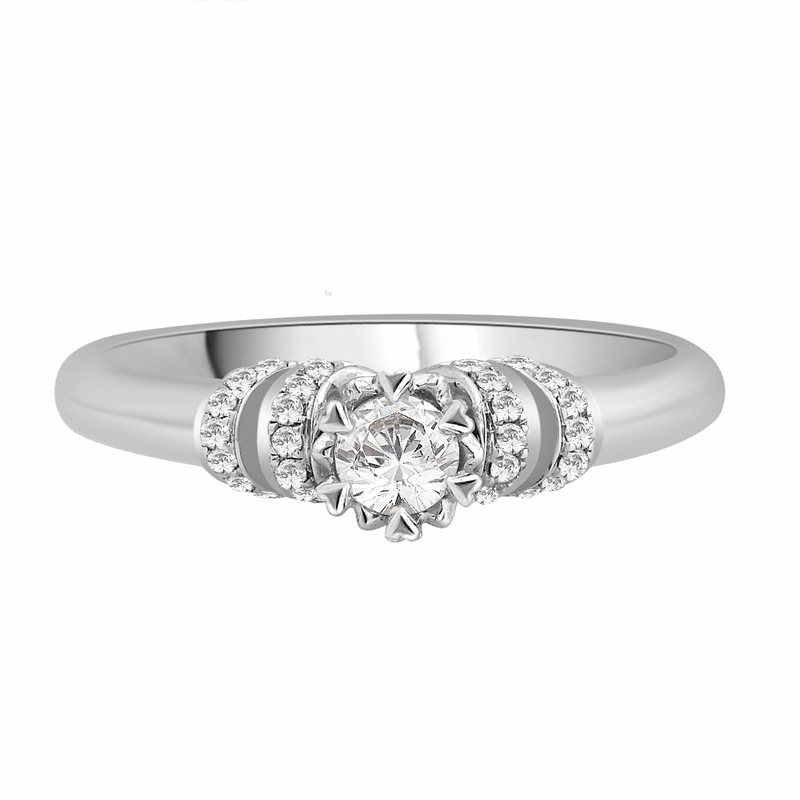 This beautiful ring is elegant with a classic style. All diamonds are of G-H colour and SI Clarity. This ring is made to order and takes approximately 5 weeks.